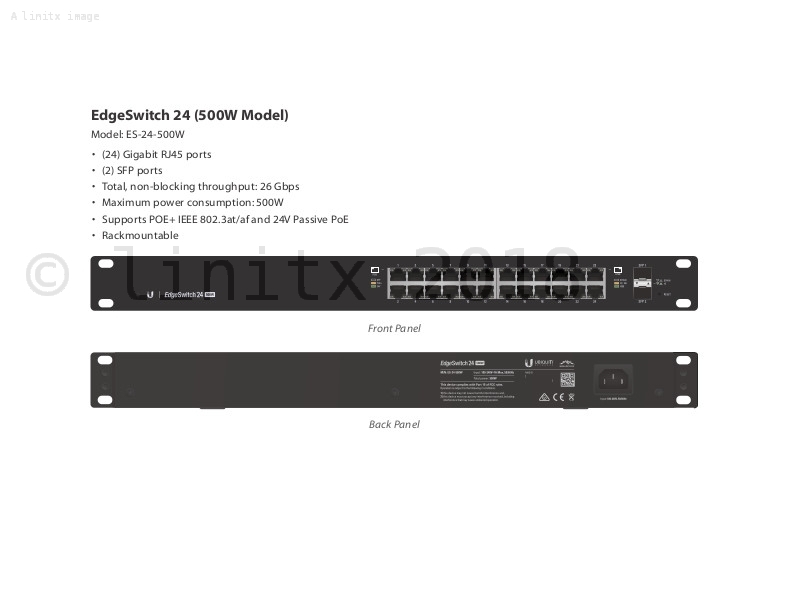 The Ubiquiti EdgeSwitch 250W 24 Port Gigabit Network Switch (ES-24-250W) is the ideal solution to expanding your network. 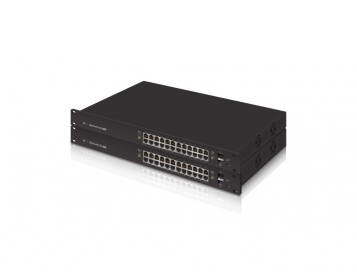 The ES-24-250W is capable of 26Gbps non-blocking throughput with zero packet loss. This is an excellent entry level option in the Ubiquiti EdgeSwitch range, and ideal for edge communication within a small business. 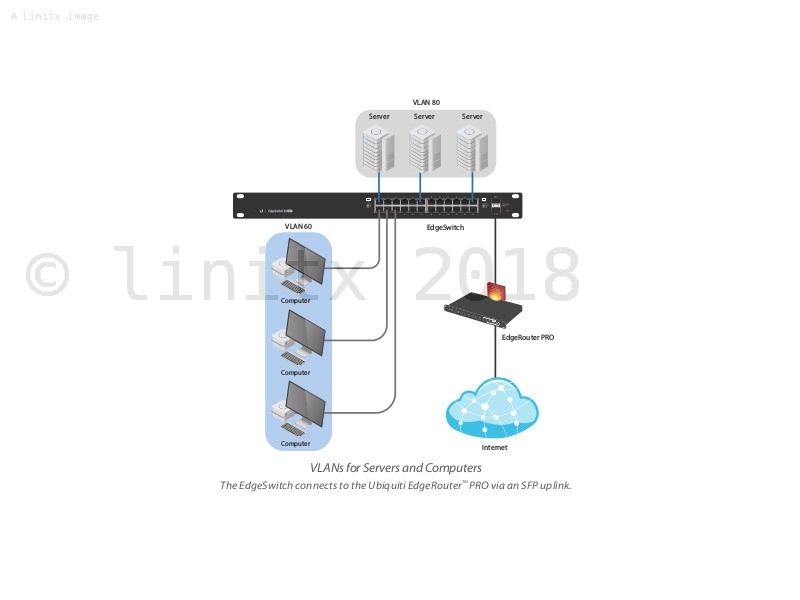 This 24 port network switch offers a number of fibre connectivity options, allowing you to greatly expand your networks with ease. 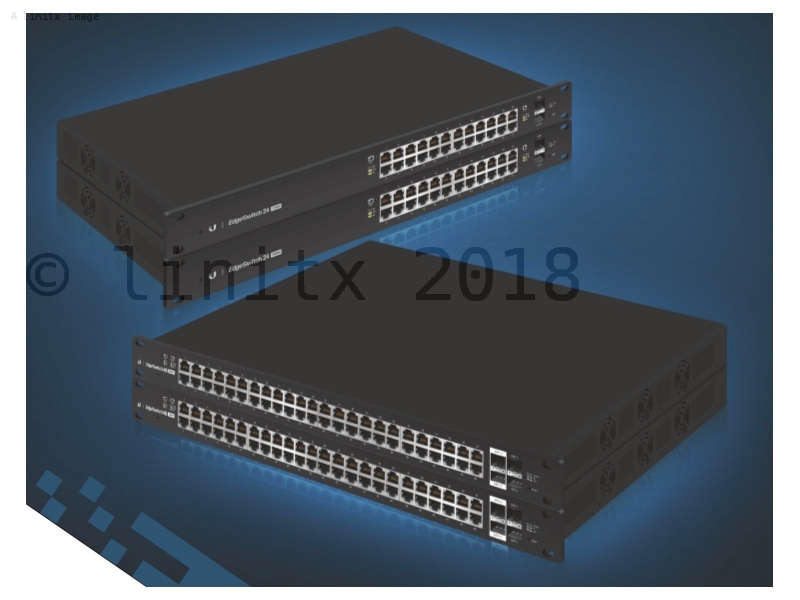 The 24 Port Unify EdgeSwitch integrates 2 x SFP ports, enabling uplink speeds of up to 1 Gbps, and 24 Gigabit RJ45 Ports with a switching capacity of 56Gbps and forwarding rate of 38.69Mbps. LinITX recommends using the EdgeSwitch ES-24-250W in deployments alongside the Unifi UAP AC range of access points: Unifi Access Point (UAP), Unifi Long Range Access Point (UAP-AC-LR), Unifi Pro Access Point (UAP-AC-PRO-E) all available at LinITX.com. The ES-24-250W can handle 250W maximum output across 24 ports. 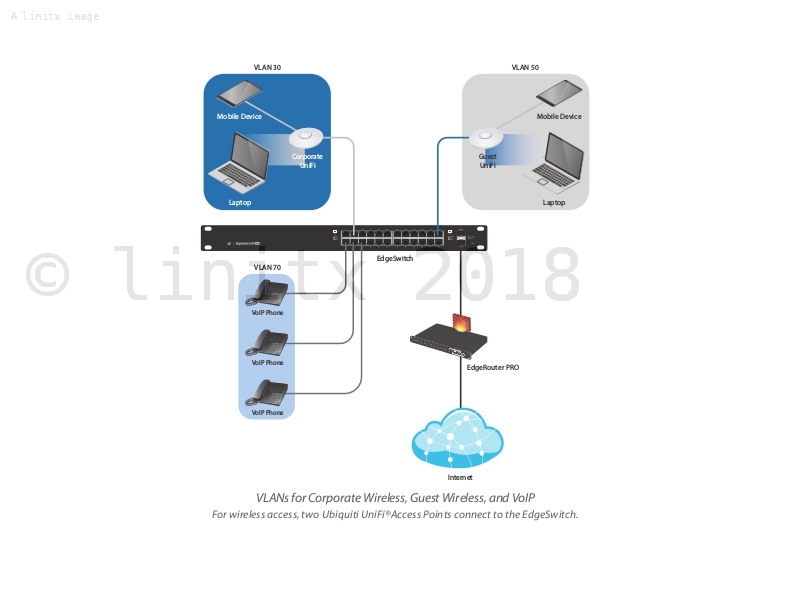 Control options allow multi-site management with a single instance of the Unifi Controller Software running in the cloud, giving you the option to manage multiple Unifi sites from one centralised interface. Each site is monitored separately and has its own configuration, admin accounts, statistics and maps. 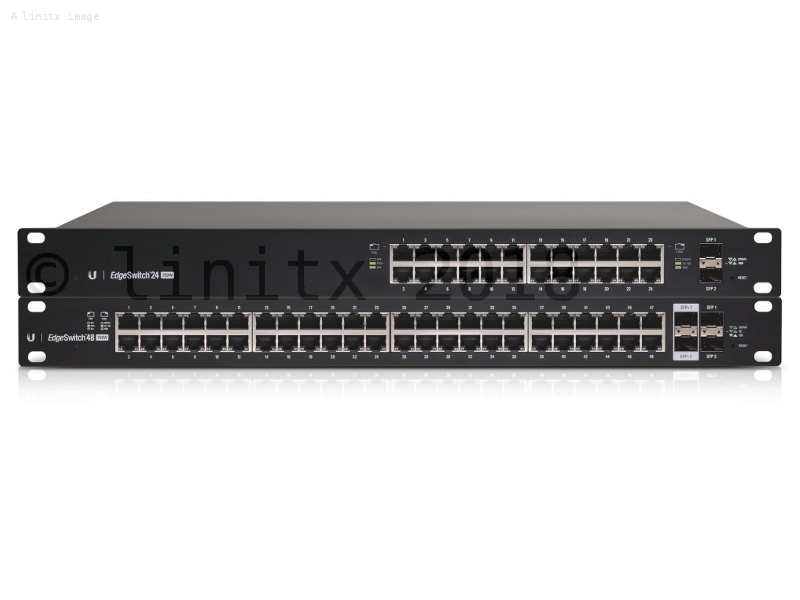 LinITX also offer the Unifi 48 Port 500W EdgeSwitch (ES-48-500W). This is an upgraded version, allowing uplinks of up to 10Gbps (instead of 1Gbps) and non-blocking throughput of up to 70 Gbps (instead of 26Gbps). 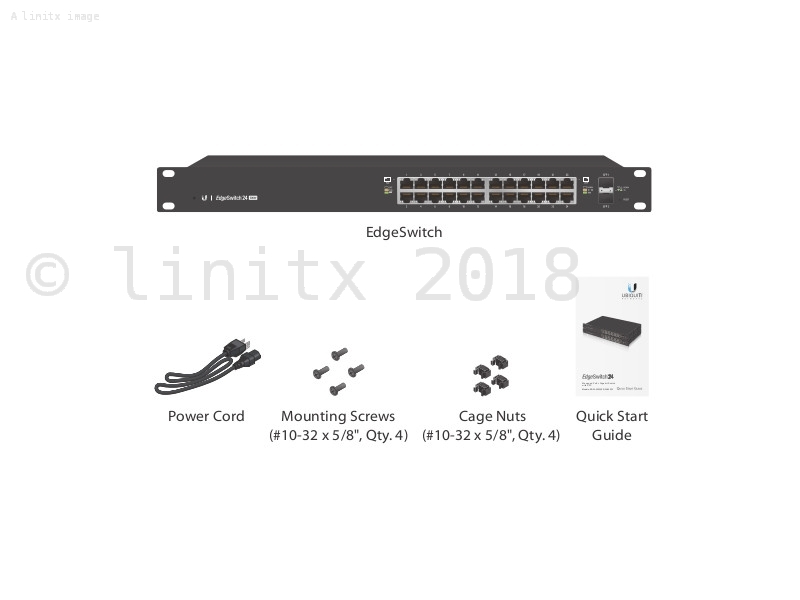 Alternatively there is a less expensive, non-powered version of the 24 Port Unifi EdgeSwitch (ES-24-LITE) offering the same performance without PoE. Great switch for powering Unifi Access points.